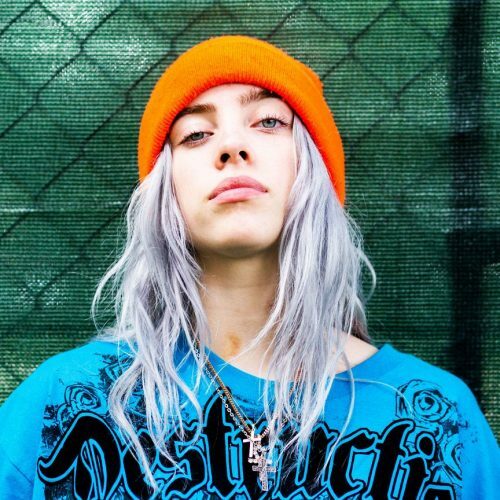 As first-time listeners will quickly discover, 17-year-old singer Billie Eilish doesn’t fit into the categories shaped by star-studded teen female artists. She’s not your sugary pop diva (see: Sabrina Carpenter) but she also isn’t quite the gritty, overly obscene rapper, either (see: Bhad Bhabie). Her ethereal voice and gentle sound hang in contrast to her out-of-studio persona: a half-lidded stare and pout shrouded in oversized hoodies, chains and pants sagging around her thighs. Her unique style and undeniable talent have set her apart from other teen singers. Yet almost four years ago, Eilish was unheard of — just a 13-year-old girl who liked to dance and sing with the Los Angeles Children’s Chorus. She and her older brother, Finneas, recorded one of his original songs because Eilish’s dance teacher wanted to choreograph it. In November 2015, the siblings posted the song, “Ocean Eyes,” on SoundCloud, where it went viral virtually overnight. A year later, she signed to the record label Interscope Records, and, at almost 15 years old, began the glittering reality that every budding artist fantasizes about. 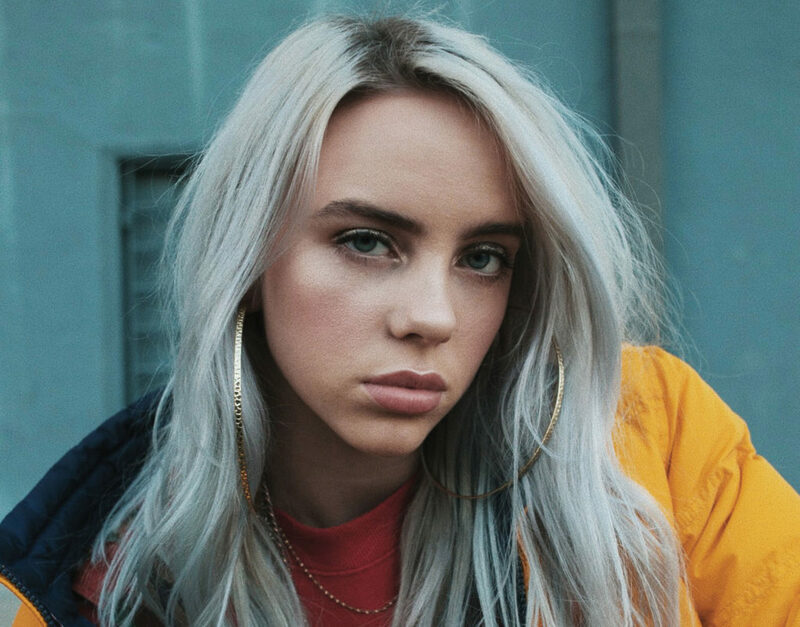 Riding on the success of “Ocean Eyes,” Eilish began releasing singles in preparation for the release of her first EP, which were met with excitement among fans and critics alike. From the singles alone, Eilish was selling out shows and scoring interviews with renowned music authorities like Billboard. At last, in August 2017, Eilish released her highly anticipated EP, “dont smile at me,” co-written and produced by her brother. It’s this EP that catapulted her to stardom: Apple Music, a month after the release, named her their newest “Up Next” artist. “dont smile at me” peaked at No. 14 on the U.S. Billboard 200, and the EP went on to be certified gold by the RIAA. Four years after her accidental debut, the now 17-year-old Eilish (with 6.3 million followers on Instagram) has finished a sold-out tour and announced her first full-length album—”WHEN WE ALL FALL ASLEEP, WHERE DO WE GO?”—set to arrive in March. The album was announced last week alongside a new single, “bury a friend,” which created a lot of buzz, as first impressions of the song indicated an interesting tonal shift between her previous work and what will come from this upcoming album. Previously, Eilish’s angelic vocals have usually been presented in the context of soft synths, tender piano, strings and gentle beats, creating a hypnotizing, almost soothing sound. “Ocean Eyes,” her first breakout single, epitomizes this, and most of her “dont smile at me” EP follows suit. This stands in contrast to “Copycat,” the opening tune of “dont smile at me” and the harshest song off of the EP. In “Copycat,” Eilish employs intense, frequent backbeats and almost overpowering synths, a strong sound only rivaled by “&Burn,” the remix of “Watch” that Eilish created alongside Vince Staples. “bury a friend” takes her experimentation with sound and character in “you should see me in a crown,” as well as “bellyache,” to the next level. In the music video, Eilish plays the proverbial monster under the bed, appearing at the foot of a man’s bed as a sort of sleep-paralysis-induced hallucination. Scenes include Eilish as the “monster” being stabbed with needles in a medical room and hovering down hallways with blackened eyes. Lyrically, lines like “Today, I’m thinking about things that are deadly / The way I’m drinkin’ you down / Like I wanna drown, like I wanna end me” and “Step on the glass, staple your tongue / Bury a friend, try to wake up / Cannibal class, killing the son” demonstrates an even more twisted story than “bellyache” or “you should see me in a crown” had to offer. On an auditory level, “bury a friend” is a full binaural experience; if you have your headphones in, Eilish’s drawl of a voice, laid over powerful, consistent beats, hypnotizes. Her use of sound effects peaks with this track, employing what sounds like screeches, whirring machinery, breaking glass and ringing bells to contribute to the horror-movie chills listeners get while watching the music video — something quite different from the brooding pastel pop she’s released in the past. The album cover of “WHEN WE ALL FALL ASLEEP, WHERE DO WE GO?” appears to be following in the track’s terror-infused footsteps. The cover is mostly pitch black, featuring Eilish in white, spotlighted on a white bed. She’s staring at the camera with pupil-less eyes, grinning, hanging off the edge of the bed as if she is ready to scramble toward you. This stands opposed to the cover of “dont smile at me,” which was composed of bright yellows and reds and had Eilish slouched on the floor, pouting at the camera. These significant differences between what we’ve seen of “WHEN WE ALL FALL ASLEEP, WHERE DO WE GO?” and her previous work nod at Eilish’s new artistic route, possibly indicating her completed transition into the darker realm of pop that she’s hinted about in the past. Whether this change will be permanent or not has yet to be seen, but for now it seems that we’d better not listen to this album alone in the dark when it debuts in March.